Reiners, Wulf & Tekin, Funda (2019), “Taking Refuge in Leadership? Facilitators and Constraints of Germany’s Influence in EU Migration Policy and EU-Turkey Affairs during the Refugee Crisis (2015–2016)”, German Politics (SSCI), https://doi.org/10.1080/09644008.2019.1566457. Turhan, Ebru (2018), “Avrupa Birliği’nin Üçüncü Ülkelerle Harici Farklılaştırılmış Entegrasyon Modelleri ve Türkiye-AB İlişkilerinin Geleceği: Neoliberal Bir Yaklaşım”, Siyasal: Journal of Political Sciences, Vol. 27, No. 1, pp. 95-120. (indexed in ESCI) Read here. Turhan, Ebru (2018), “The Implications of the Refugee Crisis for Turkish-German Relations: An Analysis of the Critical Ebbs and Flows in the Bilateral Dialogue”, Marmara Üniversitesi Öneri Dergisi, Vol. 13, No. 49, pp. 187-210. Read here. Werner Weidenfeld and Wolfgang Wessels (ed.) (2017), Europa von A bis Z, Taschenbuch der europäischen Integration, (Baden-Baden: Nomos). 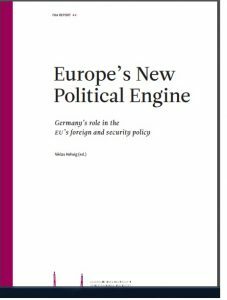 Aydın, Yaşar and Ebru Turhan (2017), “Deutschlands Rolle beim Flüchtlingsabkommen der Europäischen Union mit der Türkei – Eine Zäsur in der deutschen Türkei-Politik?”, in Wolfgang Gieler, Burak Gümüş and Yunus Yoldaş (eds. ), Deutsch-türkische Beziehungen: Historische, sektorale und migrationsspezifische Aspekte, (Peter Lang: Frankfurt am Main). Read here. 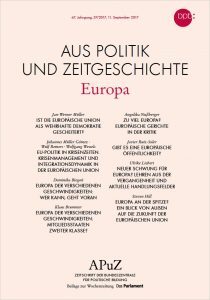 Reiners, Wulf with Johannes Müller Gómez and Wolfgang Wessels (2017): “EU-Politik in Krisenzeiten – Krisenmanagement und Integrationsdynamik in der Europäischen Union”, Aus Politik und Zeitgeschichte, Vol. 61, No. 37/2017, 11 September 2017, pp. 11-17. Read here. 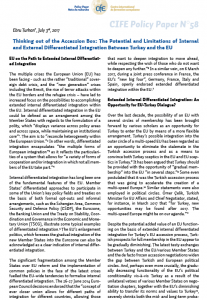 Turhan, Ebru (2017), “Thinking out of the Accession Box: The Potential and Limitations of Internal and External Differentiated Integration Between Turkey and the EU”, CIFE Policy Paper, No. 58, 3 July 2017. Read here. Turhan, Ebru (2017), “Mülteci Krizinin AB-Türkiye İlişkilerine Etkileri: AB’ye Üyelik Sürecinden Bir “Stratejik Ortaklığa” Doğru mu?”, İstanbul Ticaret Üniversitesi Sosyal Bilimler Dergisi, Vol. 16, No. 31, pp. 647-663. Read here. 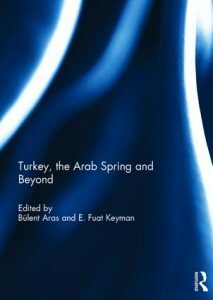 Yorulmazlar, Emirhan and Ebru Turhan (2017), “Turkish Foreign Policy towards the Arab Spring: Between Western Orientation and Regional Disorder”, in Bülent Aras and Fuat Keyman (eds. ), Turkey, the Arab Spring and Beyond, (New York: Routledge). Read here. 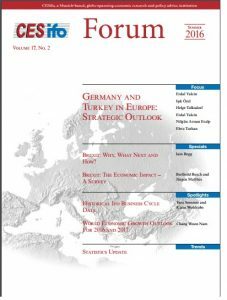 Turhan, Ebru (2016), “The Struggle for the German-Turkish Partnership: Preventing the ‘Train Crash'”, E-International Relations, 4 December 2016. Read here. Reiners, Wulf with Can Büyükbay (2016) Germany’s Turkey Policy in Troubling Times: A Needed Partner for Europe in an Unstable Region?, in: Niklas Helwig (ed): Germany’s role in Europe’s foreign and security policy, FIIA Report 44 (Helsinki: The Finnish Institute of International Affairs). Read here. Turhan, Ebru, “Europe’s Crises, Germany’s Leadership and Turkey’s EU Accession Process” CESifo Forum 17 (2), 25-29. Read Here. 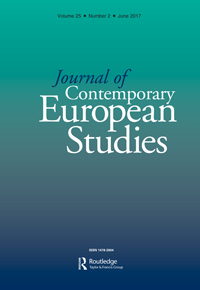 Turhan, Ebru (2016), “Turkey’s EU Accession Process: Do Member States Matter?”, Journal of Contemporary European Studies, November, 2016, Vol. 24, No. 4, pp. 463-477. Read here. Turhan, Ebru and Çiğdem Bozdağ, “From ‘Economic Consequences’ to the ‘Personal Impact’ Frame: Representation of Turkey in the German Media”, in Banu Hawks (ed. 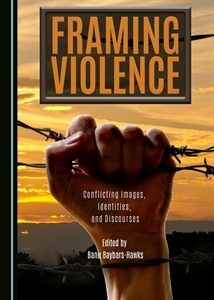 ), Framing Violence: Borders, Conflicts, and Identities (Cambridge: Cambridge Scholars Press). Read here. Werner Weidenfeld and Wolfgang Wessels (ed.) (2016): Europa von A bis Z, Taschenbuch der europäischen Integration. Nomos. Read Here. 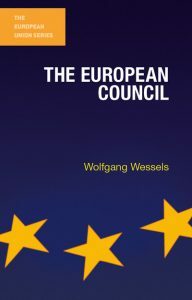 Wolfgang Wessels (2016): The European Council. Palgrave.